Born and raised in the aristocratic Rana family, Diamond Sumsher never he would lift pen rather than guns. Born in 1917 in Palpa, he was on the high rank of the Nepal Army at the young age of 20. An advocate of people and democracy, he loathed the Rana rulers although he himself was a Rana. Recognized as the first important historical novelist in Nepal, he was also the first author to survive solely on the royalty of his novels. There was an incident in his life that made him pick up pen instead of guns. In the year 1947, while playing cricket with the late general Madan Sumsher, tenth man in the role of succession, he was asked whether he could accompany Madan Sumsher to Singhadurbar. When they got there, discussion was going on between high ranking Rana officials and the then British Ambassador to Nepal, who was explaining the departure of British from India. The Ambassador was telling them to breach the Sugauli Treaty and annex the land that belonged to Nepal prior to the treaty. However, the Rana officials refused it outright saying that the people of Darjeeling were politically conscious and would ask for democracy. When he suggested Madan Sumsher the same idea, he was asked to keep quiet and after the news spread among the Ranas, he was branded as revolutionary. There were no one he could turn to for help, which is why took up literature as a medium of expression and livelihood. The first novel he wrote was Basanti which was published in 1947 from Banaras. The book is about the rise of the first Rana ruler in Nepal, Jung Bahadur Rana and has been translated into Hindi. His another novel Seto Bagh (1973), which was translated into French, English and Japanese, describes the story of Jagat Jung, son of Jung Bahadur Rana. His other books include Pratibaddha (1977), Satprayas (1091), second part of Seto Bagh, Anita (1986), Dhan ko Dhaba, novel based on Panchayat system, etc. He had also been jailed during and after the Ranarchy as they considered him revolutionary. This was the time when he penned two of his most acclaimed novels Basanti and Seto Bagh. Although it is difficult to get information on the Rana family, Sumsher being a part of it helped him get information he needed to write book. It was inside the jail that he realized, he needs to take up writing as a means of expression as well as livelihood as he knew nothing else than writing. He was serving as the district president of Nepali Congress, Patan branch, when the then government arrested him after the enactment of Panchayat system in Nepal in 1960. The six years he stayed inside jail was spent to write him most popular novel, Seto Bagh. He had also been to France and Japan after his book was translated into the respective languages for sale but it could not be successful due to the problem in marketing strategy of the publishers. Although his books are taught in Benaras Hindu University and North Bengal University, Tribhuwan University widely neglecting it made him sad. 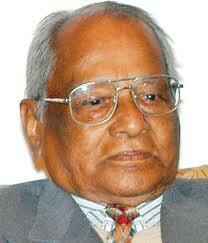 The first important historical novelist of Nepal, Diamond Sumsher died at the age of 94 in the year 2011.